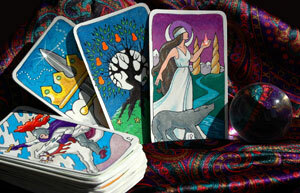 Psychic Entertainment by Barbara G Meyer Coupon allows you to receive 10% off total price of one party or event. Barbara G Meyer is one of the Best Psychic Entertainers in Chicago. 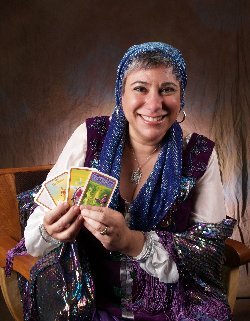 Since 1989, she has been dazzling people age 12 and up with her entertaining brand of fortunetelling, specializing in Tarot Cards and Palm Reading for all types of parties and events. Barbara will give each of your guests an insightful, positive and FUN one-on-one reading that will leave them amazed and excited about their futures. The future is never dull when they hear about it from Barbara Meyer! Flexibility is key with Barbara Meyer: she can dress as a “Gypsy Fortuneteller” (Madame Zandra who knows all! Tells all!) or in plain clothes to fit your needs. She can walk around and unobtrusively “work” the crowd or go table to table reading all who wants it, or you can place her at a table and have people come to her as they wish. Psychic entertainment is perfect for Bar- or Bat Mitzvahs, Sweet 16 parties, Graduation Parties, adult birthdays, family picnics and parties, cruises, holiday parties, corporate events, conventions and trade shows, wedding receptions and bachelorette parties and any other time you would like to add unique and FUN entertainment to make your party more memorable.